I am honored to be the President of the Rotary Club of North Penn. With our diverse skill sets and backgrounds, we come together to serve our local and international communities. Continuing to provide financial support and volunteer service in our local community to such groups as Manna on Main Street, Easter Seals, Kelly Ann Dolan Foundation, North Penn YMCA, North Penn Boys & Girls Club and RSVP of Montgomery County. Providing achievement scholarships to local high school and elementary schools, Rotary Camp Neidig opportunities for local students, and a scholarship to PA Free Enterprise Week. Internationally, we continuing to support the Rotary Foundation, Rotaplast, Polio Plus and Shelter Box. We will also be participating in a local project with other Rotary Clubs to end hunger in Montgomery County. This event will occur in October and we will be packaging meals for distribution to those in need in Montgomery County. We have also been challenged by Rotary International President Ian H. S. Risely to plant a tree for every club member. For our club members, we will continue to provide support for attendance at the Rotary Leadership Training. We have developed a local Rotaract Club (College level) and Interact Club (High School Level) to ensure future generations of Rotarians. We work with them on local projects. One area of focus that will not change is the recruitment of new members to maintain our club’s outstanding 90+ year record of giving back to the community and most importantly to sustain our longevity in the North Penn area. 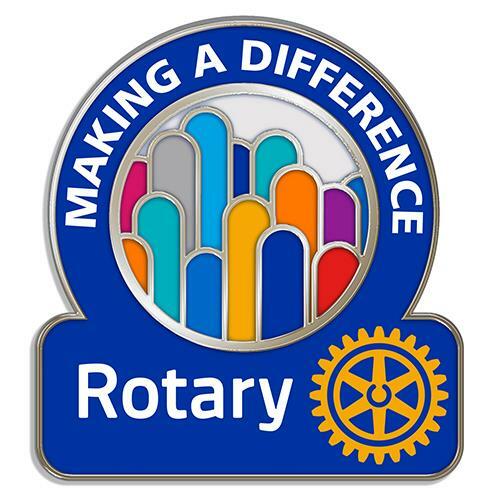 Should you be interested in serving your community through Rotary, and are interested in membership to our club, please feel free to contact us so we can extend an invitation to attend an upcoming meeting.